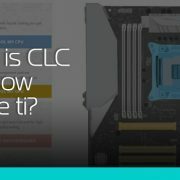 What is CLC and how to use it? Let us introduce you to the CLC! It stands for “Custom Loop Configurator” and by knowing that, you get the general idea what it’s good for. The CLC is a one of a kind, there is no other similar webpage/software available that will help you to build your basic custom liquid cooling system. https://www.ekwb.com/wp-content/uploads/2015/12/what_is_clc.jpg 370 705 Atila Gobor https://www.ekwb.com/wp-content/uploads/2015/12/ekwb_logo.png Atila Gobor2017-02-27 07:30:412017-03-23 14:46:11What is CLC and how to use it?